So my first answer was: “He’s playful, quick, inquisitive, intuitive and good at observing” He cuddled up to me and said that he loved me. Aren’t kids great?! 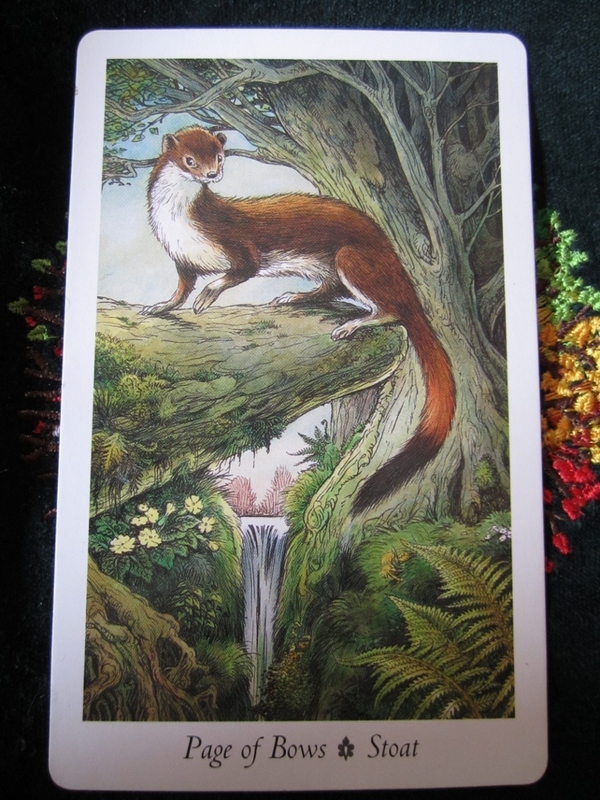 I also note that he’s great at keeping secrets, he’s extraordinary, a free spirit. He’s an emissary, and as such, he reminds you that your gifts (and by relation, mine and my eldest son’s) are widely recognised and honoured. 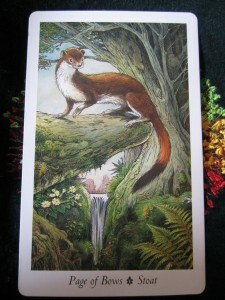 The stoat can perceive what is true in almost any matter, he’s vastly helpful and your freedom of spirit marks you out as an original and unique personality. It is a Friday, and a bank holiday weekend after all!